2003MalaysiaResort_19-22sep -- We were also visited by this curious monkey who seemed comfortable with our presence. 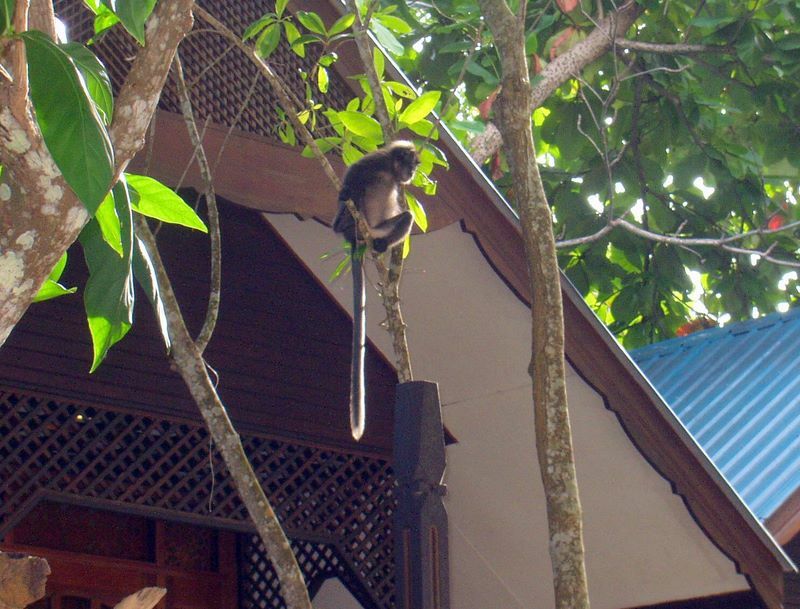 We think this could be a long-tailed macaque. Monkeys were not the problem here as they had been at some other places we had visited in southeast Asia - at least that was our experience.